Cost – $5,995 if paid in full, $6,390 if paid in 3 installments of $2,130 each. The program is science based and college chemistry and biology courses are strongly recommended. While it is not possible to make wine during the program, you will observe several stages of the process. You can expect to leave the program with a thorough scientific understanding of the winemaking process, the steps and equipment required, the compliance and labeling required, and a very realistic expectations of the cost of opening a winery. You will also have a full understanding of the sensory components of wine, from fruit to faults. There are three weekends when your attendance is required. Each enology certificate camp is held at the Ste. Michelle Wine Estates WSU Wine Science Center in Richland, Wash. During the first of these ‘Wine Camps’ you will get hands-on experience with lab analyses with Jim Harbertson and his technical team. During the second camp, you will get exposure to winery equipment and operations, including behind-the-scenes tours local wineries. For the final camp, you will apply your knowledge in the microbiology lab with Dr. Thomas Henick-Kling and do sensory analysis with the enology research team. These camps also provide a great networking opportunity between students to students and students to industry professionals. While participating in the Enology Certificate Program you will view and listen to online lecture presentations and videos. On a discussion board participants will share information about themselves, discuss topics of their choice, and discuss assignment questions. High-speed Internet is required to access the program. You will be given the URL to the program that gives you access to syllabi, lectures, lecture notes, pdf’s of lecture slides, internet links, exams and course evaluations. Course length varies with topic, some may be 2-3 months, others require less time. The time allotted for exams is 2 weeks and format varies. The amount of time spent on a course will vary with the content and the participant’s background, but it is estimated that you should plan on spending approximately 10 hours/week on the program. Though there are no prerequisites for the program, however a college-level chemistry class is highly recommended for the Enology Certificate. The program will provide and mail five textbooks over the course of the program. Foreign students will be required to pay for any additional taxes through customs, if required. 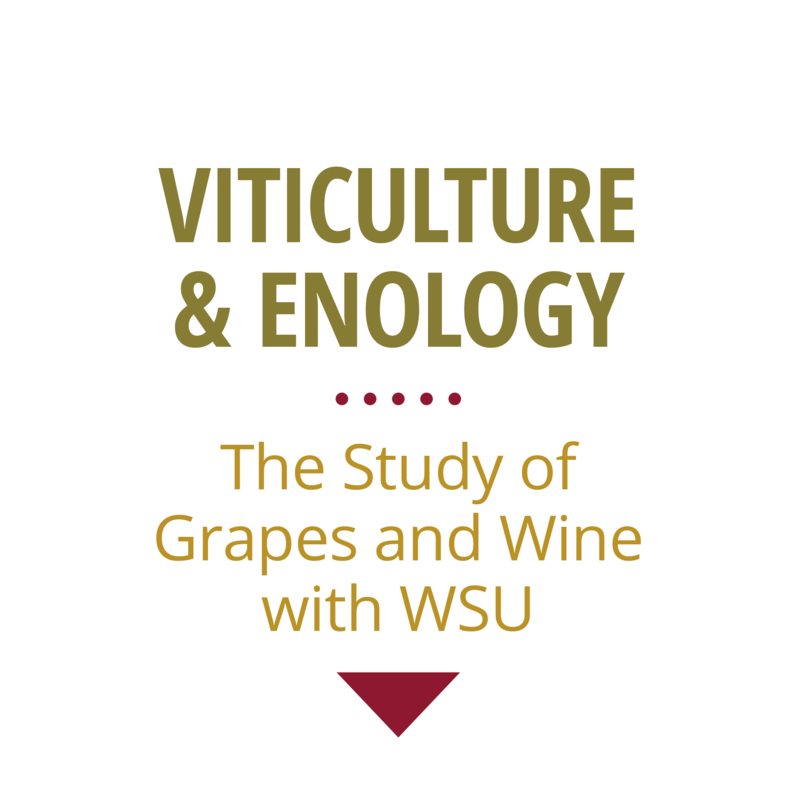 The courses are taught by Viticulture and Enology Professors and Industry Experts; all actively working in their specialty, teaching and conducting research. The program Director is Thomas Henick-Kling, the world-renowned wine researcher and educator. Click on the program schedule for links to each instructor. Q. Are Financial Aid or Scholarships available for the certificate programs? A. No, you will not receive academic credits or pay ‘tuition’ to a state university. You are paying a fee to participate in an Extension program, therefore, Financial Aid and Scholarships are not available. Q. Can I use VA Benefits to pay for the program? A. No, the certificate program is an Extension program which does not offer college credits or lead to a degree, therefore it does not qualify for VA Benefits. Q. Is the registration fee tax deductible like college tuition? A. No, for the same reasons as the above two questions, the registration fee does not qualify for a tuition deduction. However, it may qualify as a business education deduction if you have a business. You should talk to a tax accountant regarding the business deduction. Q. Will I have access to the WSU Library system? A. No, for the same reasons as above, however, you will be provided an online subscription to the American Journal of Enology and Viticulture. Q. Will I get a student card to use for student discounts? A. No, student cards are not provided to extension program participants. Q. How much time should I plan on spending on the program? A. The time commitment for the program will vary with each participant depending on background, education and/or winemaking experience. It will vary from a few hours a week to 10 hours a week. It will also vary depending on the course content, with some courses being more demanding than others. Q. Can I turn in an assignment late? A. All assignments have expected due dates, but under extreme circumstances an extension may be requested from the instructor. Q. I will be traveling during the exam, can I take it early? A. No, you cannot take it early, but with advance approval from the instructor you may receive an extension to take it the following week. Q. How long do I have to take an exam? A. Exams are usually open for two weeks. The due dates for assignments and written exams are on the course syllabus. You will be responsible to print out the syllabus and stay on top of due dates. Q. How long will I be able to view lectures? A. All course lectures will remain open throughout the program. Your program homepage will close one month after the end of the last class. For additional questions contact Certificate Program Coordinator Theresa Beaver, tbeaver@wsu.edu or 509-335-3446.